Matt Rhodes' behind the scenes peek at concepting for Bioware starts with a fantastic description of his job: 'The role of a Concept Artist is the role of an explorer, tasked with charting a world without sunlight'. And now he's revealed a little of that light, and what went into designing Dragon Age and Mass Effect. 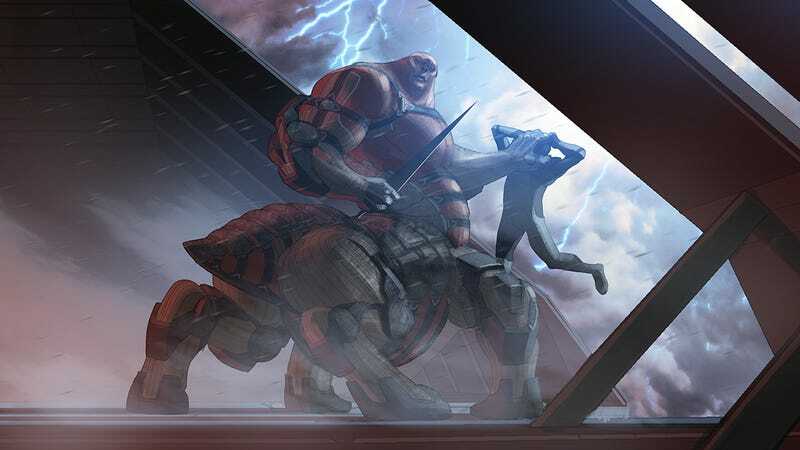 There is a lot more artwork from Rhodes at his blog, so if you're interested, check it out at the link below - bear in mind, some of it covers end-game stuff for Mass Effect 3, so if somehow you're interested in playing it and haven't got round to it, you have been warned.